Home Hair Extensions How Do I Choose the Right Hair Extensions for 2018 Holiday Looks? How Do I Choose the Right Hair Extensions for 2018 Holiday Looks? You’re going to fall in love with hair extensions this holiday season! Are you looking for ways to create long, healthy-looking hair for the upcoming holiday season? Why be envious of your friends with long, easy-to-style hair when you can “grow” the hair you want in an instant? We all want to look our best when we celebrate with family, meet up with friends or attend holiday events at work. You may have the urge to suddenly have long locks to go with that velvet dress or plush sweater you plan to wear to a holiday event. You may even be hoping to cover up an unfortunate haircut that happened recently. There’s no need to live with a look you don’t love in holiday photos forever. You can create longer, fuller hair that has the styling power needed to achieve popular looks in minutes! Hair extensions offer a low-commitment way to change your look immediately. You can be walking around with long, feminine locks in no time at all once you learn this secret. Of course, hair extensions don’t just add length. You can also add highlights and pops of color that are festive. Give yourself the gift of looking great for the holidays this year! Choosing the right hair extensions for a holiday office party takes a mix of creativity and good judgment. You don’t want to go so drastic that your coworkers can’t recognize you when you show up. The goal is to add about 10 to 20 percent more flair to your everyday look. One of the best looks for an office party is a top knot. Hair extensions allow you to achieve a top knot even if you have shorter hair that normally isn’t long enough for a high-sitting bun. Add extensions that are as close to your normal hair color as possible to make this look seem totally real. You can wrap your extensions in a very tight and large bun at the top of your head to create a sleek, sophisticated knot that looks great with a dress. A high bun makes it easy to show off some shiny, glittery statement earrings at a holiday party. Going casual for the holidays doesn’t mean you have to walk around with hair that looks dull. Do you want hair you can love while wearing a cozy sweater and sipping hot chocolate around the fireplace with your family this year? Nothing looks better with a holiday sweater than some bouncy, voluminous hair. That’s why wavy hair extensions are so perfect for holidays at home. Wavy extensions will even look great under a winter hat that you pop on before heading out to pick out a tree with your loved ones. The great thing about wavy extensions is that they don’t have to look perfect all the time. That means you can let your hair get a little bit messy while lounging on the couch or playing with the kids in your family. In fact, messing up your waves a bit will just make them look even more playful and natural. Opt for a loose wave if you want a look that’s totally casual and natural. Are you planning some one-on-one time with your sweetie this holiday season? Straight hair extensions offer a beautiful and dramatic way to wear your hair during the most magical season of the year. Straight hair extensions are great if you simply want to add a bit of length to your hair. You can keep your longer tresses looking neat by parting your hair to one side and applying a side clip or bow. You can also get a little bit fancy by putting your longer hair into a fishtail braid. This is a totally cute and romantic look that’s perfect for the holiday season. Are you going to be doing some fun things like making cookies or going ice skating with your friends this holiday season? You can put together a fresh, easy-to-manage holiday hair look in minutes with some extensions. Just take your usual short ponytail and turn it into a gorgeous high ponytail using extensions. The easiest way to do this is by using straight extensions. However, some people like the weight of slightly wavy extensions when building a high ponytail. A high ponytail adds a hint of glamour without creating a high-maintenance look. A high-sitting ponytail is extremely practical because it keeps your hair out of the way. Choose Your Perfect Holiday Look! 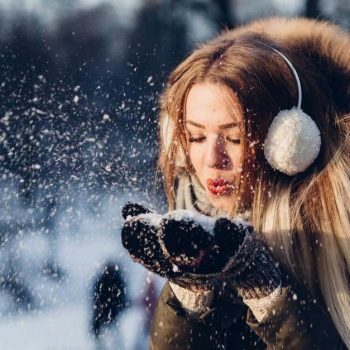 The way your hair looks can make or break a holiday outfit whether you’ll be slipping into a little black dress or getting enveloped in a plush sweater. You can look fresh, festive and gorgeous this holiday season once you figure out which hair look you want to try. It’s time to pick out the perfect extensions to help you achieve the holiday look that will make your style merry and bright! You might love having slightly shorter hair the rest of the year. However, the holiday season is a time to add a little more flair to your look. The great thing about creating a holiday look using hair extensions is that you can choose to keep the look for a few hours, a few days or a few weeks. You’re going to love feeling so polished. Ready to shine this holiday season and try out some different hair extensions?